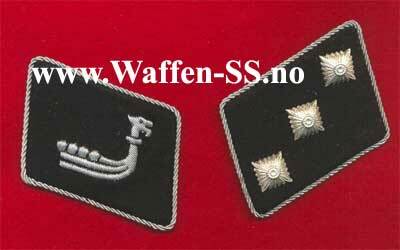 Home > WW II Germany > German Collar Tabs > Viking Longship" for "Regiment Nordland"
Viking Longship" for "Regiment Nordland"
Manufactured, but never worn. Authorizes by Himmler 3rd March 43. See "More images" below left for backside view, 100% as orginal!